Betty Kyalo and her husband Dennis Okari have been all over the news lately after they shared their wedding and honeymoon photos way before and after the events. The couple seems to have temporarily earned the title of Kenyan 'Kanye and Kim' with every celebrity and gossip blog following up with everything they do. 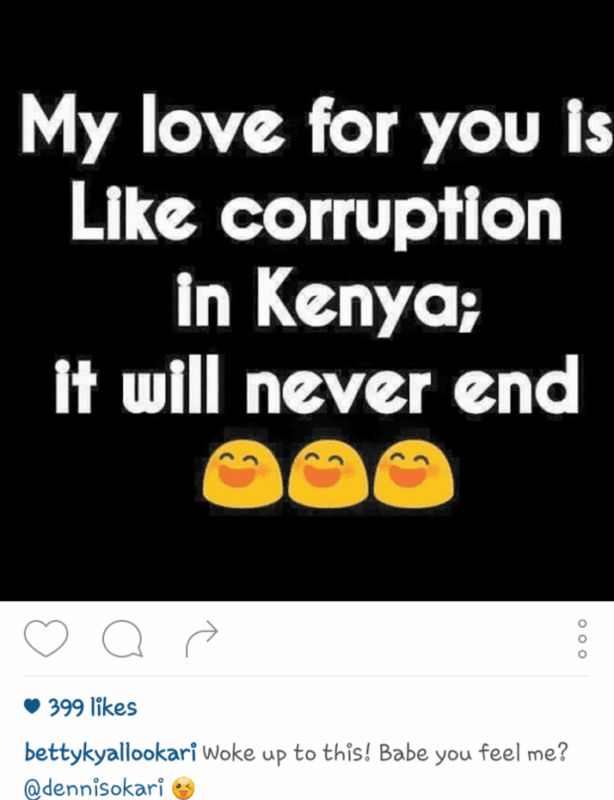 With the recent rising corruption cases in the country, Betty took the opportunity to liken her love for her husband to the never ending corruption in 254.